The Laerdal Suction Unit with Reusable Canister and the unit with the Semi-Disposable Canister are both powerful Suction Units that have been designed for emergency situations. The units' battery is an integral part of the machine so it's important to ensure it works at optimal capacity. 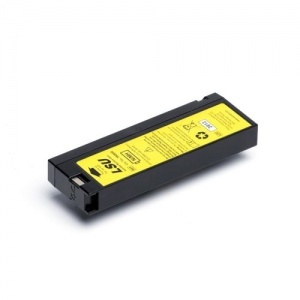 The Replacement Battery for the Laerdal Suction Units is a fantastic replacement item for your Laerdal Suction Unit's current battery. If your original battery takes longer to charge than it previously did or it doesn't hold its charge as well as before, it might be time to replace the battery. Please note that although the unit can be placed on fast charging for approximately 80% battery capacity after three hours, it is recommended the battery is charged for a minimum of 24 hours to reach full battery capacity. If you have another work shift within the approximated 24 hours it takes to reach full battery capacity, a replacement battery can be kept as a spare and charged in rotation. This is particularly useful if you have the External Battery Charger, which allows you to charge batteries separately from the Suction Unit. How Do You Check Your Battery's Quality? Charge the battery for a minimum of 24 hours. Perform the following test without connecting to external power. Run the Device Test and let the LSU operate continuously at the 500+ mmHg setting and free air flow for 20 minutes. If the LSU stops before completing the 20 minute cycle, the battery should be discarded. The Replacement Battery for the Laerdal Suction Units will be subject to a delivery time of 3 - 4 working days after the point of order. For more information, contact our Customer Care Team at 020 7501 0593.